The ability to focus is where fortunes are won and lost. Your future hinges on this critical skill. With candor and humor Dr. Barrett reveals what focus is, why it matters, and how you can finally master this life-changing skill. There are a handful of vital factors that determine your success. But none are more important than the skill of focus. Quite literally, your future and fortunes pivot on this must-have skill. 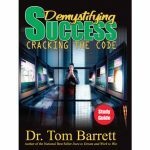 As an expert on the psychology of success, Dr. Barrett explains with humor and candor how you can win the battle of staying on task. He reveals what focus is, why it matters, and why so few people ever master this skill. More importantly, he shares how you can break away from the masses and become one of the few who succeed because you have learned to focus. This presentation has literally propelled individuals and teams to unprecedented levels of achievement and profitability. 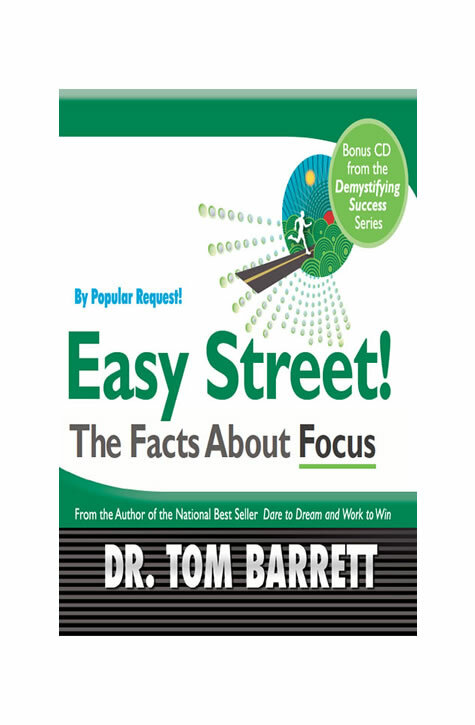 By popular request, Easy Street: The Facts About Focus has been made available as a single CD or downloadable audio file.